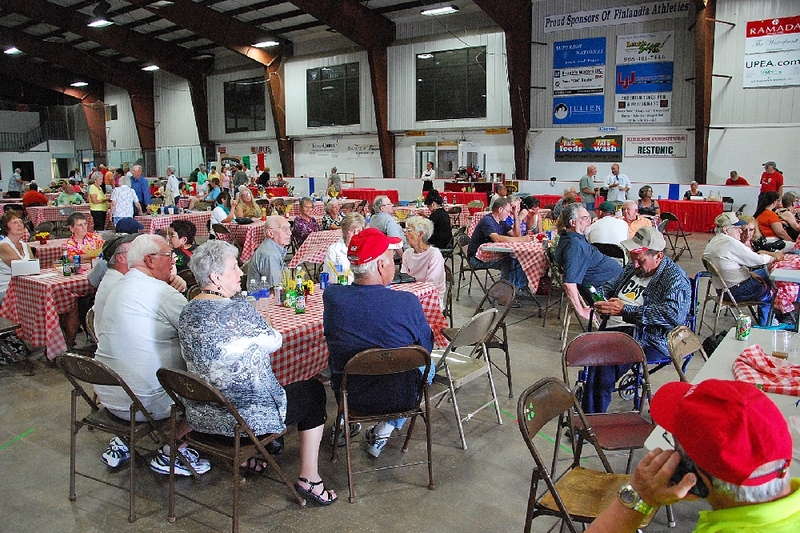 The First Annual FESTA ITALIANA was held the second Saturday in August, at the Hancock Multi-Purpose Arena. For many years, the Daughters of Italy held gatherings in the Fall in South Range, but had not in recent years. 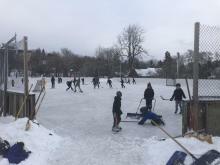 It was decided to put together a formal gathering of persons with Italian heritage once more, and this is the result. 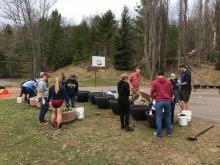 The event ran from 11am to 10pm, and was so successful that the food ran out by 5pm. 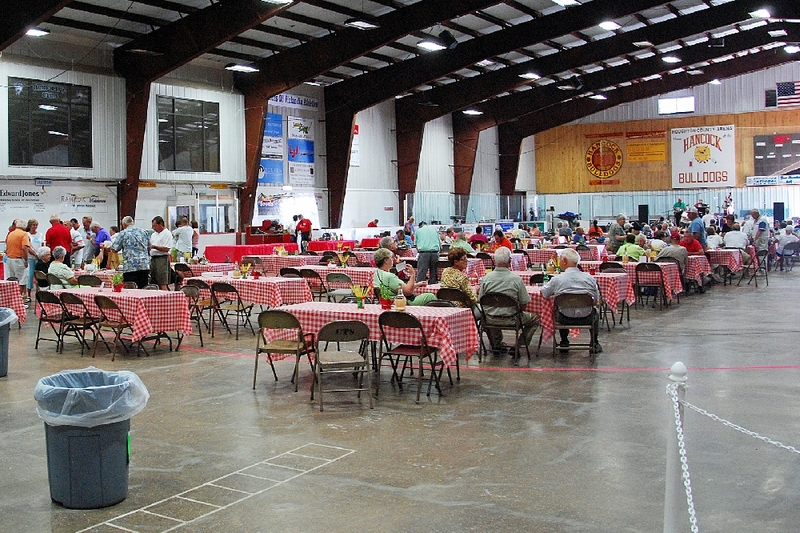 The gathering was on the main floor of the Arena, shown here during the supper hour. 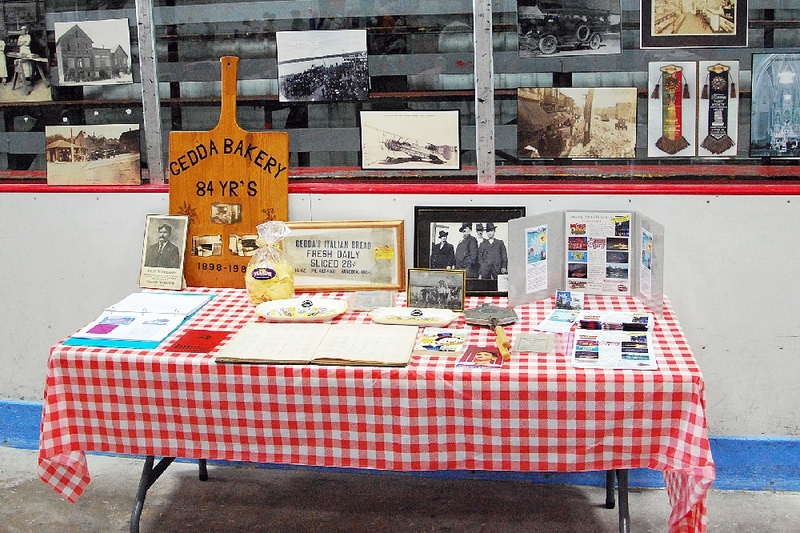 One of the many side displays during the Festa, was this display showing the past history of one of the area’s Italian businesses, the Gedda Bakery, of Pine Street, in Hancock (now operating as an Electrical Contracting Co.). 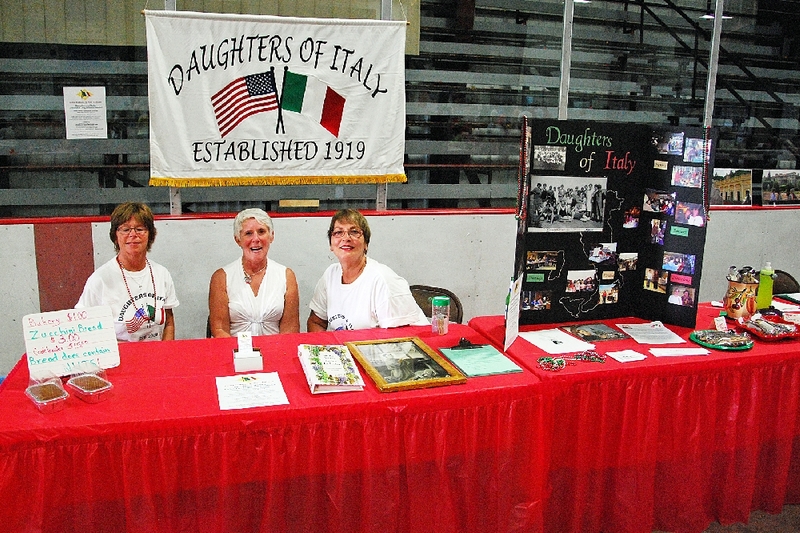 The Daughters of Italy display, with (L) Gail Baima, Joanne Blumhart, and Mary Ann Jarui ( R ), manning the table. Music was provided by a number of Bands and Groups during the day. 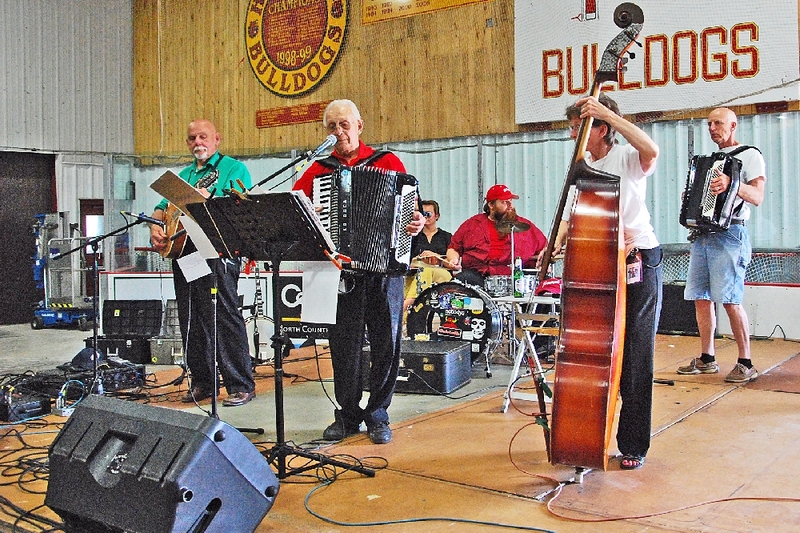 Here, the Jim and Teri Enrietti Band and Don Masnado play for the listening (and dancing) pleasure of the crowd. 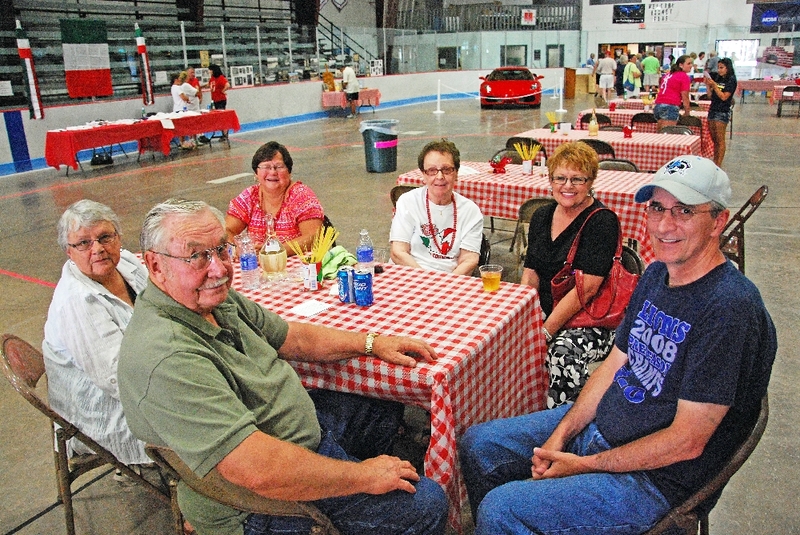 One group of supporters of the event. 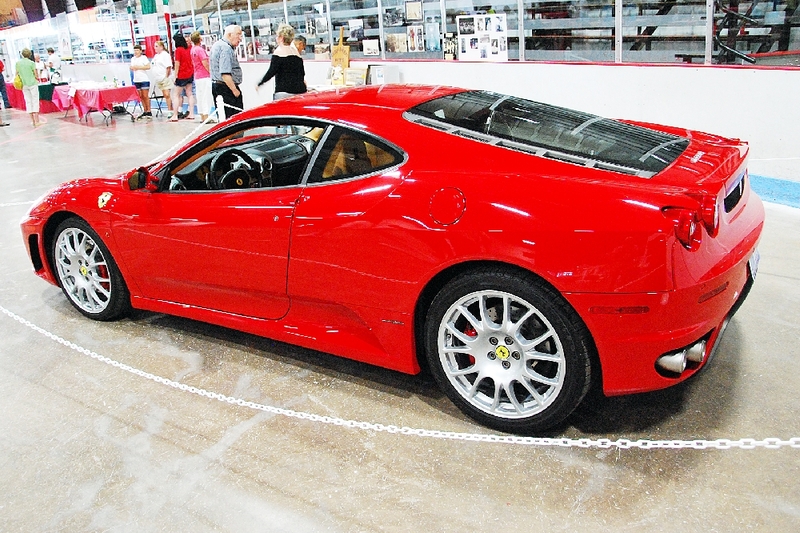 This, is a F430 Ferrari, locally owned, and on display at the event. 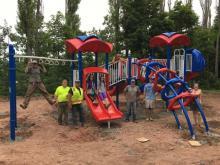 The next photo gives more info. What a car! The only thing missing was the price tag. 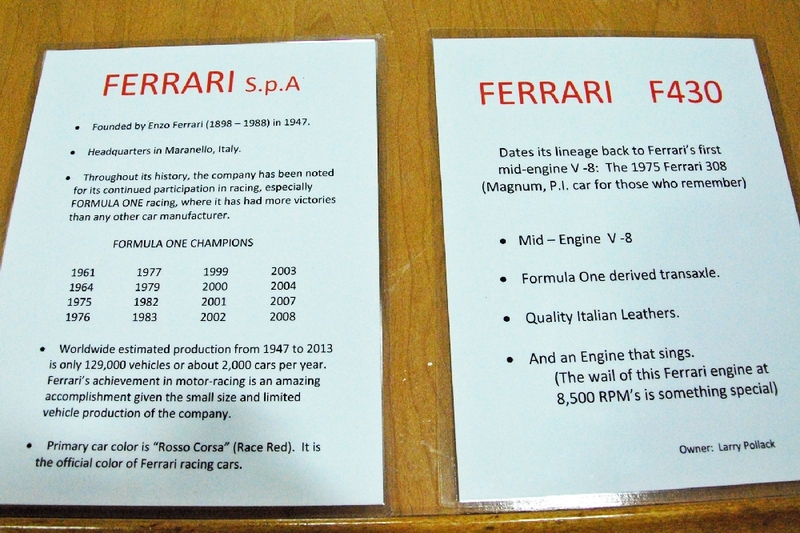 And the particulars on the car. 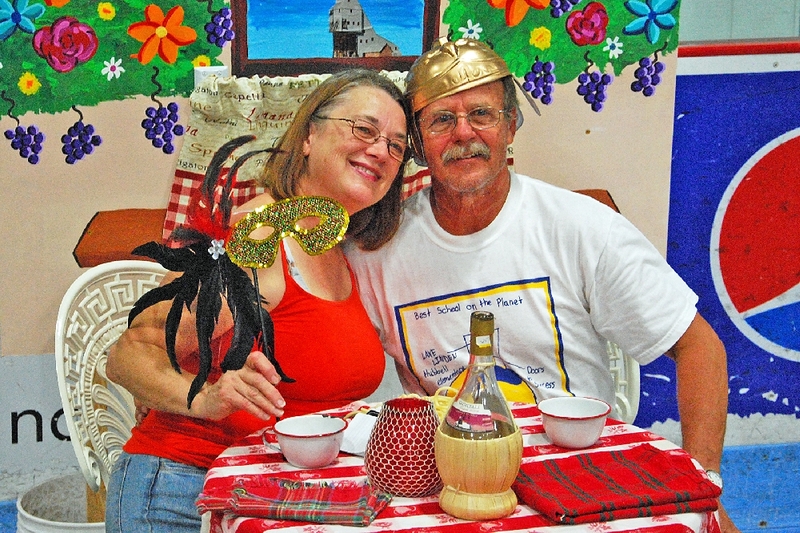 A section was put aside for the taking of Italian photos with props and backdrops for special effects. 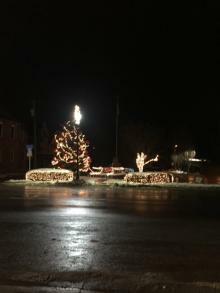 Jean & Arnie Perala, of Lake Linden, posed for this photo.